SKU: NP~CONTOUREYE. Category: Nelly Packs. 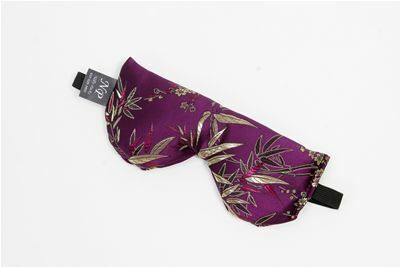 This Nelly Pack eye pillow was designed with the sinus sufferer in mind. It gently wraps around the nasal area covering the eyes and sinus area relieving pressure & soothing the eyes, shielding them from the light. Nelly Packs are filled with all natural grains of flax seeds and wheat as well as a variety of herbs. Lavender, chamomile, vanilla, elderberries, peppermint, spearmint, rose hips & petals provide a soothing scent to help you drift off to sleep. 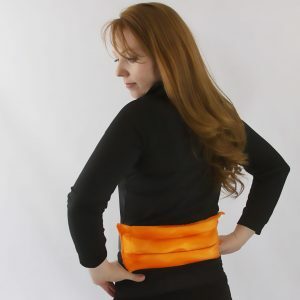 Simply warm the Nelly packs eye pillow in the microwave for 1 minute (microwaves vary, adjust time accordingly, start with less cook time, adult supervision required, product will burn, wipe clean with a damp cloth, do NOT saturate). 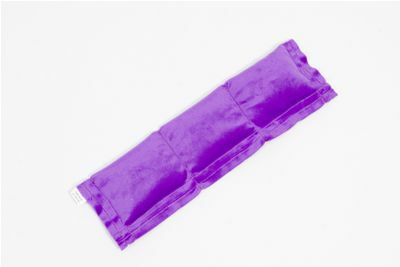 For a cold Nelly Pack during the summer months keep it in the freezer until chilled for a cool refreshing eye pillow!